Coagulation or also known as infrared photocaogulation or simply known as coagulation therapy. It is a very versatile apparatus and widely used for many different circumstances. It is used in Gynecology, Ent, Dermatology, Surgery and even in Dentistry, and off course used with our hemorrhoids. A very intense and hot beam of infrared light is pointed to the base of the hemorrhoid, causing a scar in the tissues in that area. This ultimately will stop blood flow feeding the hemorrhoid. The hemorrhoid dies and only the scar will remain. This procedure may be done in the doctors rooms, therefore no hospital costs. Having said that, the procedure will still be expensive, because the machine is very expensive for the doctors to buy. Another problem is that only one hemorrhoid can be done at a time. Repeat visits will be a must. Huge pain is felt when the procedure is done, because you can actually feel the heat of the beam. After the procedure you could have that terrible urge to go to the toilet, or a sensation that you have a really full stomach. A bloated feeling, but more intense. Bleeding will occur for a period of approximately 2 weeks after the procedure, and with this there is always a risk of infection. There is also a risk that you could temporarily have problems to urinate. With this condition, I am guessing now, that it could probably lead to other complications. In most cases your doctor will ask you to use a sitz bath for the pain but mainly to heal the tissues. This method is the first treatment highly recommended for all hemorrhoid problems. Another problem is not many doctors have bought this apparatus to date, so it will not be readily available. The doctors that have got the apparatus must do many procedures, before they can actually become good at it. This type of therapy is usually used for very small internal hemorrhoids. I have included laser surgery here, because it is very nearly the same thing, except a laser beam is used. 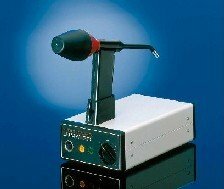 The main differences is that laser is even more expensive, and laser can cause a deep tissue injury. Lasers are still relatively new, and doctors need more time.